This healthy vegetable side dish, pepped up with a drizzle of balsamic vinegar, is the perfect accompaniment to roasted meat or poultry. Using virtually no preparation time or hard-to-find ingredients, this roasted asparagus recipe goes from the refrigerator to the table in less than twenty minutes. Preheat an oven to 425F. Line a large baking sheet with foil and arrange the asparagus in a single layer on the tray. 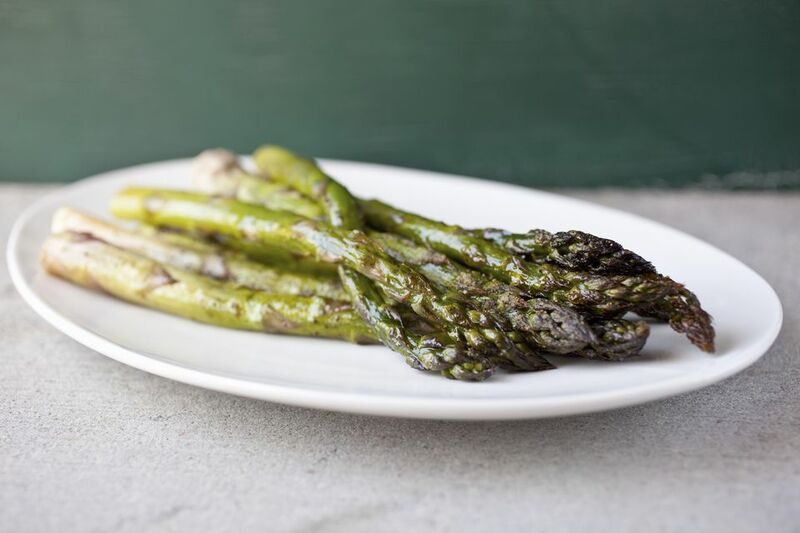 Drizzle the olive oil over the asparagus, toss it gently, and then roast it in the preheated oven for 15 to 20 minutes, until it turns tender and lightly browned. Toss the roasted asparagus with the balsamic vinegar, salt, and pepper; serve immediately.